We take an In-depth look at MCTV in Kenya to help you make an informed decision on whether to buy it. Get to know Origin of this TV, available TV models in Kenya, features, specs and an updated list of MCTV Prices in Kenya. 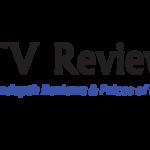 MCTV or MCV TV first appeared in the Kenyan market in 2017. With its incredible features and pocket friendly pricing, This TV is recommended to anyone who wants a digital TV but cannot afford to buy renowned TV brands like Sony, Samsung or LG TVs. 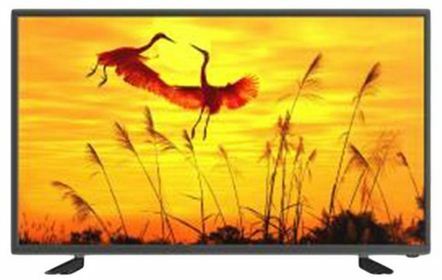 MCTV 24 inch Digital HD LED TV KES 9,000 Get More Details! MCTV 32 inch Digital HD LED TV KES 13,700 Get More Details! MCTV 43 Inch Full HD Digital Smart TV KES 35,000 Get More Details! MCTV is a Chinese TV brand that seeks to provide affordable but quality digital TVs to the Asian, Middle East and African market. It is manufactured by Mingcai New Century Technology Company (hence the initial MCTV) based in Shenzhen China and with its global headquarters in Hong Kong. Some of its brands are labelled MCV. In Kenya, the TV is imported and distributed by BrandSmart Distributors. The most common MCV models in Kenya are the 24-inch and 32-inch. Even though MCV TV is a new TV brand in Kenya, buying it from reputable sellers like Jumia will give you a full guarantee that your money is safe as not only does Jumia give you a one-year warranty when you buy any TV from them, but you also have a 7-day window where you can return the TV and get your full refund. One major selling point of this TV is price. MCTV prices in Kenya are very affordable as it targets low income earners looking for a quality digital TV. MCTV are digital TV with inbuilt digital tuner that allows you to watch free to air TV channels. This is a great plus as one will make greater savings since the TV is cheap and no need to pay for decoders. The TV uses ‎‎Hyper Real Picture Engine technology and wide color enhancer that generates clear and crisp pictures. You will be impressed by quality of images produced by this TV. Additionally, the TV supports HD which means will enjoy your HD music and shows. So far this TV has garnered positive reviews from Kenyans who have purchased and used the TV. This builds confidence in the TV as it shows that it is a good quality TV. Combined with affordable MCTV prices in Kenya, this makes this TVs one of the best TV to buy in Kenya. You can connect your TV with any media device as it has several ports including 2 HDMI ports, 2 USB ports, Audio out port, Video ports, Terrestrial/ cable input port. This multimedia connections enables one to connect several devices at the same time. This TV is an energy saving TV as it uses minimum power, around 0.5 watts while on standby. With ever rising energy costs, this TV is one way to guarantee your electricity bills remains low. MCTV produces quality sound powered by DTS premium sound system. In addition, it has an automatic sound leveler which ensures the sound is balanced and of good quality. Even though you can find MCTV in many electronic shops in Luthuli Avenue, Nairobi, it is recommended that you buy it from Jumia Kenya as they are reputable sellers and will give you guarantees and a one-year warranty. Jumia also has the best MCTV prices in Kenya. They also deliver the TV to your doorsteps no matter your location in Kenya.